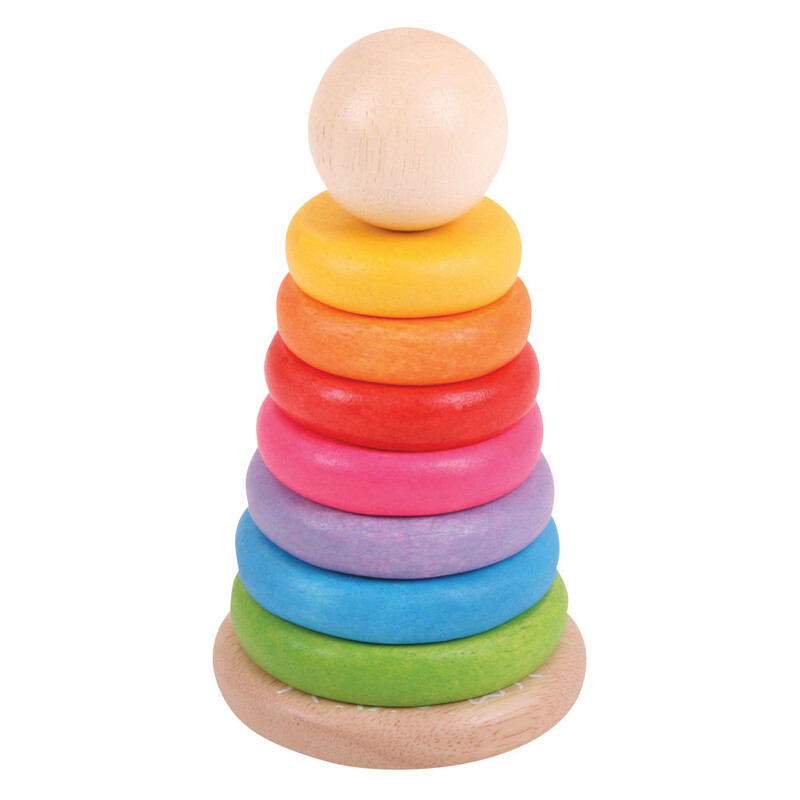 These seven brightly coloured wooden hoops will fit on the stacker. An ideal introduction to concept of sizes and an educational toy they'll never tire of. Age: 18 months+.